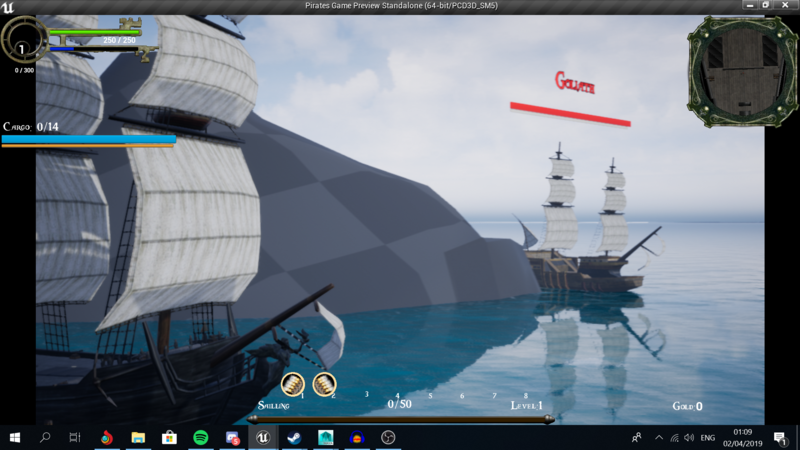 today I have some great news, Pirates Online is being recreated in UE4! This project respects TLOPO and just like them we won't make any profit out of the game and love the community. I am part of the group and in the summer I will help with the actual development, but meanwhile, I take care of the Discord, YouTube and Facebook page. Please don't mind my English, I am not from the US or UK. I hope you will love it and play this game because it got lots of potential. Looking good!! Congrats on what has been achieved so far!! Thank you very much, I speak for the whole team if I say: We really appreciate your comment! Absolutely loving the graphical enhancement that your team has made progress on, great work, and I think you've got something great going on here! also a little sneak peek on the sailing demo we are planning to bring out, can you tell us the mission? Nice seeing the old Goliath too. Keep in mind that this is progress of circa 4 Months now. We have implanted a new ship type based on El Patrons ship! Quick update, we just implemented some looting. It is ugly as hell, but it is working. We also implemented the first steps of ship customisation. You can already choose sail colour, but we almost implemented emblems! Join our Discord to see the latest development.